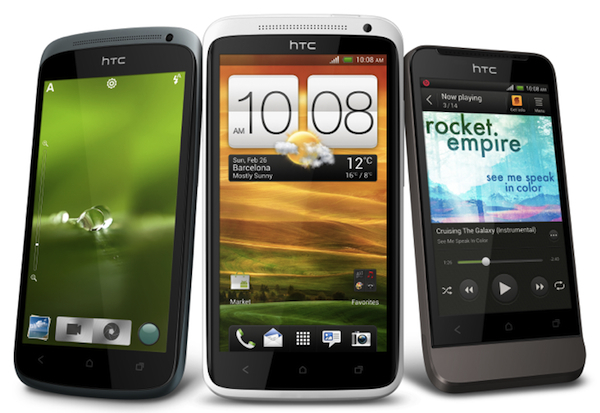 "The US availability of the HTC One X and HTC EVO 4G LTE has been delayed due to a standard U.S. Customs review of shipments that is required after an ITC exclusion order," a boilerplate statement from Taiwanese smartphone maker HTC said on Wednesday. The company's flagship smartphones are being held up in customs as a result of patent litigation with Apple, and their availability to consumers is currently on hold. Though it only launched on May 6, AT&T currently lists the One X as "sold out," and Sprint's EVO 4G LTE which was slated to launch on Friday, May 18, will be delayed. Pre-orders of the device do not have a guaranteed ship date. 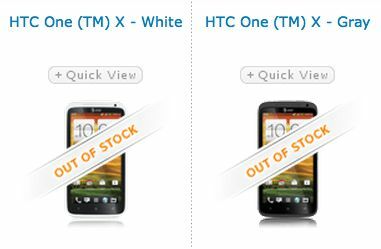 "The U.S. availability of the HTC EVO 4G LTE has been delayed. HTC is working to resolve this issue and appreciates your patience as they work to get products into Sprint channels. We can’t provide specific timing for product availability at this time and we appreciate your patience as HTC works to get products on store shelves as soon as possible. Delivery of products for pre-order are on hold and Sprint will provide a ship date as soon as possible. Sprint will maintain the promise for the preorder customers that they will be among the first to receive their HTC EVO 4G LTE units. While we'd rather you didn't cancel your pre-order, there are instructions provided in the backorder email on how to do so. According to the exclusion order from the International Trade Commission handed down in December 2011, these devices violate an Apple patent (#5,946,547) which detects patterns in data such as dates, phone numbers, street addresses, and email addresses and makes them actionable variables for other applications. "The analyzer server receives data from a document having recognizable structures, and uses patterns to detect the structures. Upon detection of a structure, the analyzer server links actions to the detected structure. Each action is a computer subroutine that causes the CPU to perform a sequence of operations on the particular structure to which it is linked. An action may specify opening another application, loading the identified structure into an appropriate field, and closing the application. An action may further include internal actions, such as storing phone numbers in an electronic phone book, appointments on an electronic calendar, and external actions such as returning phone calls, drafting letters, sending facsimile copies and email, and the like." To avoid patent infringement and get these devices on U.S. shelves, HTC had to re-engineer its software architecture. This, according to some investigative work by Nilay Patel from The Verge, is what is being reviewed in customs. This is, of course, not the first time the HTC One X has been re-designed for the United States market. The global version of the One X features a 1.5 GHz quad-core Nvidia Tegra 3 processor, but the version for the United States and a couple of other select markets features a dual-core 1.5GHz Qualcomm Snapdragon S4 processor instead. We have inquiries pending with a number of the involved parties and will update as comments arrive.